SPMCIL Dewas Admit card 2015 are made available for written exam scheduled on 4th January 2015. The applicants who have submitted an application for bank note press dewas junior technician and supervisor posts with the issuance of notification dated 12th July 2014 can now download the bank note press admit card 2015 online at bnpdewas.spmcil.com. The SPMCIL Dewas notification 2015 was issued with an intent to recruit 78 vacancies in the Bank Note Press which is an industrial unit of SPMCIL India. Candidates who are from the ITI background have applied for the SPMCIL bank note press careers 2015, now that the exam is fast approaching the SPMCIL hall ticket 2015 were issued on the official website of the bank note press. The list of the applications that were considered eligible for the written exam were made available on the official website bnpdewas.spmcil.com, those candidates whose names are listed can only get the SPMCIL dewas admit card 2015. 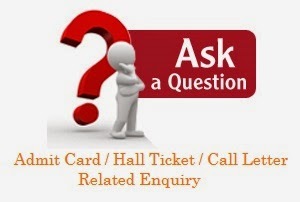 Candidates have to present the SPMCIL Hall Ticket at the exam hall to the invigilator else the candidates will not be allowed to the exam. SPMCIL or Security Printing and Minting Corporation of India Limited is government of India enterprise which overlooks the printing and minting of Indian currency notes, coins, non–judicial stamps, postal stamps, and documents related to the govt of India.